Hi Friends! I hope you're having a WONDERFUL day! We are doing great! The kiddos are going to try to stay up until midnight to ring in the New Year, wish us luck! 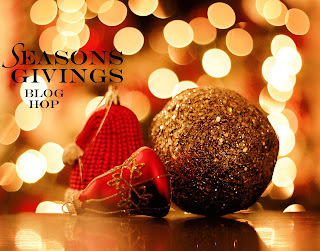 This year, I finally got my act together to participate in my friend Latisha's amazing Seasons Givings Blog Hop. This is the fourth year of this amazing hop. The hop is just a bunch of crafters and crafting companies giving back to the crafting community. A huge THANK YOU for the past year. Each stop on this blog hop will have a giveaway. It's a wonderful out pouring of generosity and I'm so glad I get to participate this year! I made a card for this hop. :) By the time this blog hop goes live, it will still be my birthday (Dec 31) so I made a birthday card. Let's be 100% honest, I don't even really know how to make cards anymore. I mostly do Pocket Scrapbooking and the cards I made this year usually had the elements provided by my amazing friend Rachel at her crops. I figured I would just pull out some of my favorite items and let them speak to me. I used an old collection from Dear Lizzy Daydreamer which I have used also every single bit of. I've never used so much of a 6x6 pad before, I only have 3 whole sheets left in that pad. The image is a sticker from the collection. I added some Chickaniddy enamel hearts and a Paper Smooches sentiment. I thought it would be cute to stamp the sentiment in pink but it's a little hard to see. 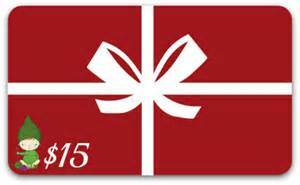 GIVEAWAY: Today, I'm giving away one (1) $15 gift certificate to 1 of my favorite online stores. One winner will be able to pick a gift certificate from either: Butterfly Reflections Ink, Ellen Hutson, or Paper Issues. Just leave a comment and I will pick a winner and post on Jan 7. Please follow my blog to see my new posts in the new year. You can also follow my Heart Hugs Designs Facebook Page. This card doesn't look like you're out of practice! It is cute! Happy New Year! Love your sweet card. Happy New Year. Love your sweet card...Being an awesome mommy takes a lot of work, so you get a pass on the card making bit. PS...You make yummy cookies too so that puts you right up there in the winners section for me ;) PS...Thanks for sharing your birthday (and your daughters too). It's fun to keep up with you that way too. Very cute card. Happy New Year! What a generous opportunity. Thank you and happy New Year. I like your designs! Happy New Year! And thank you for the generous giveaway! Great card! Hope you had a great birthday and Happy New Year! Happy Birthday and Happy New Year. Love your cute card! Happy belated birthday, Ashley! Best wishes for a crafty 2016!! Love the cute enamel hearts on your card, especially with the polka dot patterned paper. Thank you for the chance to enter your giveaway. Following on your blog and facebook now! Thanks for the inspirations! Fun little card ... I found you on facebook. Your card is as cute as can be! Happy Birthday and Happy New Year! What a SWEET card! Thanks for the giveaway. Best wishes on 2016. Happy new year. Thank you for the amazingly generous chance to win! Happy New Year! Ohhh, such a fun choice of prizes! :) Thanks for the chance to win! What a super CUTE card! and thanks so much for a chance to win! Happy New Year...and Happy Birthday, too!! Your card is just beautiful! Thanks so much for participating in this amazing blog hop and for the chance to win some wonderful goodies!! Cute card! Happy New Year! Love this cute image and those sweet hearts. Happy New Year Ashley! Happy Birthday! Super sweet card. Happy New Year! Hey!! HAPPY BIRTHDAY TO YA!! You did great on the card!! Your card is so sweet! Happy Birthday, Ashley! Thanks for an awesome giveaway, too! Love the card. And thanks for a chance to win some goodies! Happy Birthday and Happy New Year as well! Happy New Year! Fabulous Giveaway, thanks! Fantastic giveaway - thanks! Happy New Year! Can't believe that is a sticker - cute. Your card is so cute! I think the best designs are the simple ones. Happy New Year! Aww what a cutie! Did your kiddos last til midnight? lol Wishing you a Happy Happy YOU Day as well as a wonderful 2016! Love her bouquet of flowers. The hearts that are down-sizing as they go up is a fun touch. thanks for sharing and for offering a gift. Your card is adorable. Happy belated birthday and Happy New Year! Cute card. Thank you for the chance to win. Very sweet cards! Have a warm and crafty 2016! Awww... belated happy birthday! What a special day to have your birthday... you always end your day with a bang! Tee-hee! Your card is so cute! Thanks for the chance to win those goodies! Happy New Year! 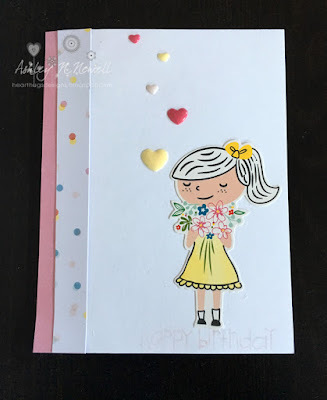 Great blog hop and card! Thank you for the chance to win! So many beautiful giveaway. Thank you for the chance to join the game. Hope your birthday was awesome and have a Happy New Year! love your card--so cute! and happy birthday! Happy birthday thanks so much for the giveaway. Cute card and great giveaway!! Happy birthday and happy new year!!! Adorable. Happy New Year! Thank you for this wonderful blog hop! So much fun and so many amazing prizes and inspiration. Very cute card!! Thanks for all the inspiration! Awww . . . very cute! Happy Birthday and thanks for the chance to win! What a fun blog hop - so much inspiration. AND a great giveaway - thanks so much for a chance. Awesome prize giveaway! Thanks so much for the chance to win! Happy new year… God bless! Such a cute card and Happy New Year. Ashley, I hope you had a magnificent birthday! Your card is ADORABLE. Love that little girl image! Sweet card!! Happy New Year!! Happy New Year 2016!! Thanks for the opportunity to win. Happy New Year! Thank you for the chance to win! Happy belated Birthday and thank you for a chance to win a gift. What is pocket scrapbooking? Is that like project life stuff? Great Card!!!! Thanks for being in the hop. Your card is cute. Happy New Year. Happy Birthday. Cute card you made for yourself. What a sweet card! Love the soft colors! Happy New Year!!! Such a lovely card! Thank you for a chance to win and a Happy New Year to you! Adorable card!! Happy New Year! Such a cute card! Love the colors! Thanks for sharing and for a chance to win an awesome prize! Wishing you a happy and blessed 2016! Very sweet card! Love it! Happy New Year to everyone! Having so much fun on this awesome hop! Love your card. Happy New year. Happy Birthday! Love your sweet card. Thanks for a chance to win. Wish you a great 2016. And thanks for the great prize! Happy New Year!Thank you for the wonderful gift prize. Very sweet card--happy belated birthday. Your blog is fantasctic. Thanks for the great gift offer and chance to win. Happy New Year! Love your blog and cards! Mthanks for this Opportunity!m happy New Year! She's a cutie... what terrific paper piecing! 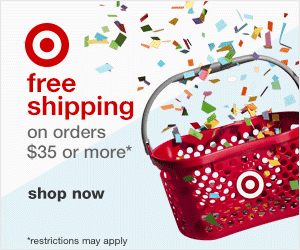 Love those stores you chose for your giveaway - thanks for the chance! Thanks for taking part in this fun blog hop and for the great prize you are offering! Best wishes for a very blessed 2016! Happy belated birthday! Oh, you just don't know how happy it makes me that someone else uses stickers!!!! I always feel like I am cheating, even though I personally love the finished cards! THANK YOU!! Happy Birthday! Have a Happy New Year! Happy birthday, Thanks for participating in this fantastic hop. I hope you had a wonderful birthday! Love those heart enamel dots! Happy New Year, thanks for chance to win a great prize. Thank you for this opportunity! Happy New Year! Your card is adorable! What a great way to start the new year. Thanks for offering this prize and all the best in 2016! Love your card! Thanks for being part of this hop! Sometimes the best cards are the ones that go together quickly! Happy belated birthday! Adorable card! I love all the enamel hearts. Thanks for the opportunity to win a great prize. Best wishes to you for a very happy 2016! Cute card! Hope you had a wonderful birthday! 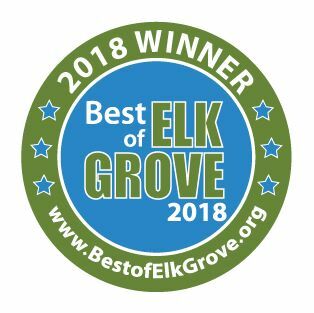 Thanks for a chance to win! Adorable card! It looks like your stuff spoke! Happy birthday and happy new year! I love Bri and Ellen Hutson....I haven't checked out paper places yet but i think I need to! Thanks for the opportunity to win! Happy Belated Birthday! You're card is sweet! Happy New Year! Happy Belated Birthday to you!! You do REALLY good for thinking you can't make cards anymore! Really CUTE card! I love quick and easy cards. Even though the ones with lots of dimension are beautiful, they don't mail very well. Like ones with big bows and flowers. I usually just admire those cards on the blogs that I follow. Happy New Year to you and yours! Much success in 2016! Love the shimmer and shine on your 2016 project! Happy New Year to you! For not remembering how to make a card, you did an excellent job! You're card is super cute! Happy belated birthday and New Year! Happy New Year! Thank you for this amazing chance! Your card is adorable! I'm a new follower! I've just subscribed to your blog via email. Thank you again! Thank you for the chance to win your generous giveaway! Adorable card! happy new year. I love that everyone is participating and being so generous. thanks. Thanks for the great prize! 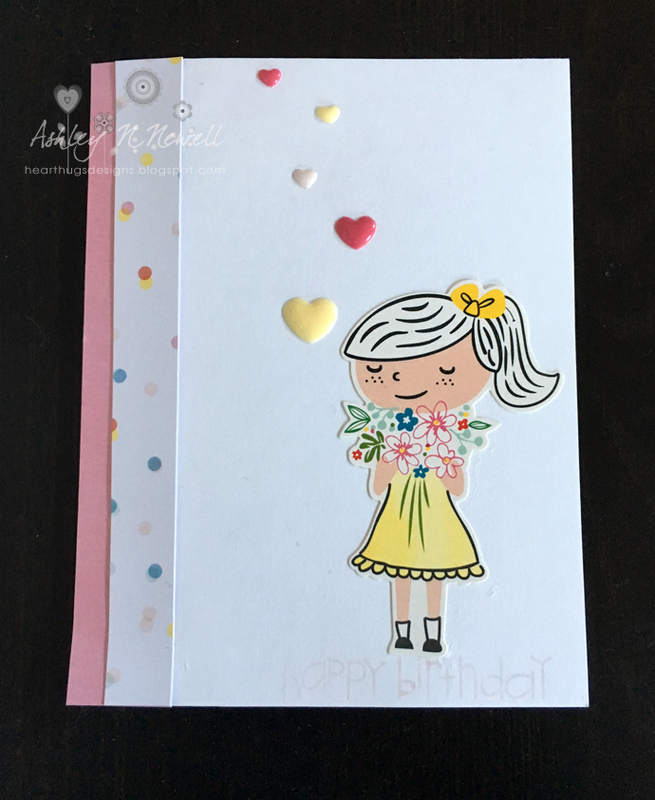 Love the hearts on your card! Thanks for the chance to win, really like your blog. Such a cute card! It makes me smile! Thanks! Happy belated birthday and Happy New Year! Thank you for the opportunity to win such great goodies! Very cute card! Happy New Year! and Thank you for the chance to win. Hope you had a great birthday, Ashley. Love the card and thanks for chance to win. Happy belated birthday! Hope you had a fantastic day. And thank you for sharing your cute card. Adorable card she is so cute. Thanks for sharing. I love the addition of the enamel hearts to this sweet girl. Such a lovely card! happy new year and happy belated birthday! the card is adorable. Happy 2016! Thanks for sharing your sweet card. Thanks for the chance to win some goodies. Happy New Year! Thank you! Sweet sweet card. Thanks so much for sharing. Awesome! Happy New Year from Alaska! Thanks so much! Such awesome prizes, thanks so much for the chance to win! Happy New Year! Belated Happy Birthday and wishing you a Happy New Year. What a cute sticker that is! Happy New Year and thanks for all your creative inspirations!! I can't wait to see what you share with us this year! What a sweet card! Thanks for the chance to win! Cute card. I will be checking back for your challenges - all the best for 2016. Thanks for the chance to win. Sweet card. Thanks so much for the chance to win. Happy 2016! Happy belated birthday, I guess we were meant to "meet" because today (Jan. 4th) is MY birthday so we are both Capricorns! I hope you had a great one. Your card came out great and I think you were way too hard on yourself about it. Thanks for participating in this hop and for the generous giveaway! I am also super excited about your post from today and have joined your FB group and look forward to trying to make the world a bit better through your challenges! I am following your blog and can't wait to see what you do and create as 2016 continues! Happy New Year! Happy Birthday, belated but even late is better than never. Your card is beautiful!! I know you said that you don't really know how to make a card anymore. However, you did a great job with the card you made. It's amazing!! I love that girl stamp. Very pretty! I will have to check into that stamp cause it would be perfect for many of my cards. Thank you for sharing and participating in this blog hop and Happy New Year!! Thank you so much for a chance to win your giveaway!